Lincoln City boss Danny Cowley has been named League 2 Manager of the Month for August, pipping Dons manager Paul Tisdale to the award. Picked up where his team left off last season, allying fitness to an unquenchable team spirit. That brought his side 13 points from five unbeaten games, four of them from losing positions, as they sit pretty atop League 2. 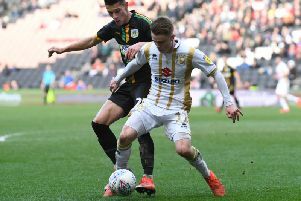 Tisdale started life at MK Dons in undefeated fashion, picking up 11 points from a possible 15 in August.